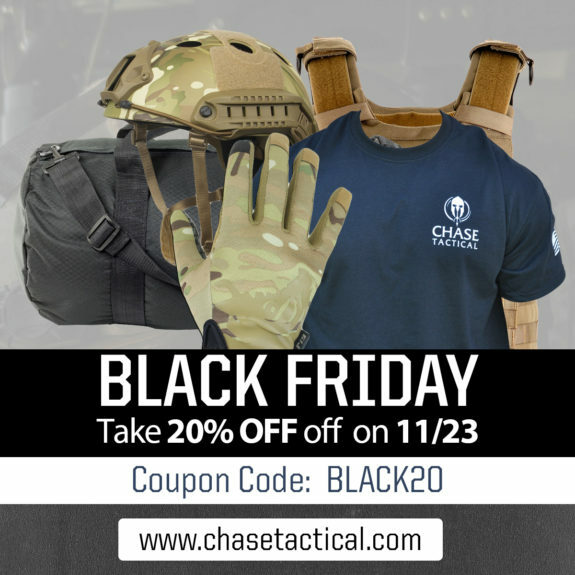 If you have had your eyes on some of Chase Tactical’s brand new line of USA made tactical gear, now is the time to act. Their Black Friday sales are running from now through 11/23. You can use code BLACK20 to save 20% off your entire order at ChaseTactical.com.